Fall officially started on September 22, so what better time of year then to wrap it up with some beautiful scarf accessories. The scarf is just one of the essential accessories you can wear to keep the cold season at bay. Warm and stylish, this fashion piece is both versatile and can complete your wardrobe and transform a simple outfit from bland to fabulous. I decided to check out one of my favorite places online; Nordstrom’s offers a perfect blend of functional and trendy scarves. Get inspired with some of the pieces shown below. 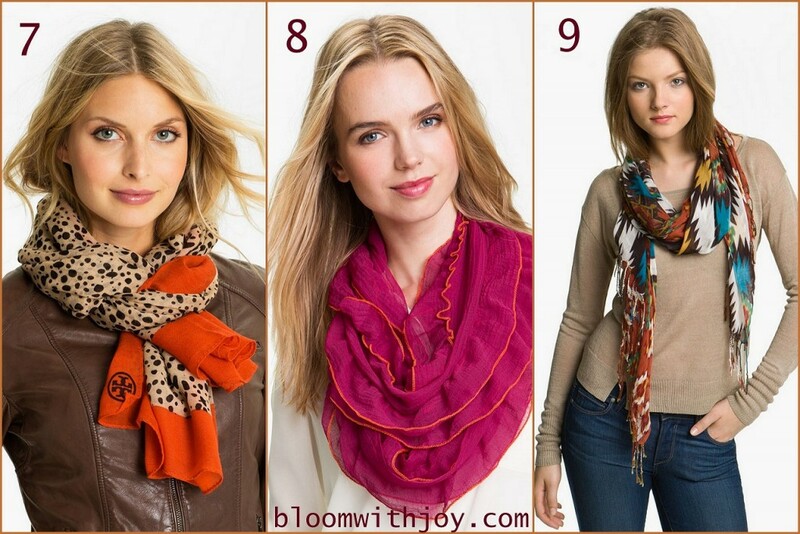 I even included a video from Eileen Fisher on how to tie a scarf for this fall. 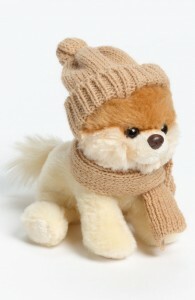 Snoods and Fur Scarves are particularly trendy this winter and offer you an elegant style. The lady in this video is too cute 🙂 You can purchase Eileen Fisher Scarves at Nordstrom's too! 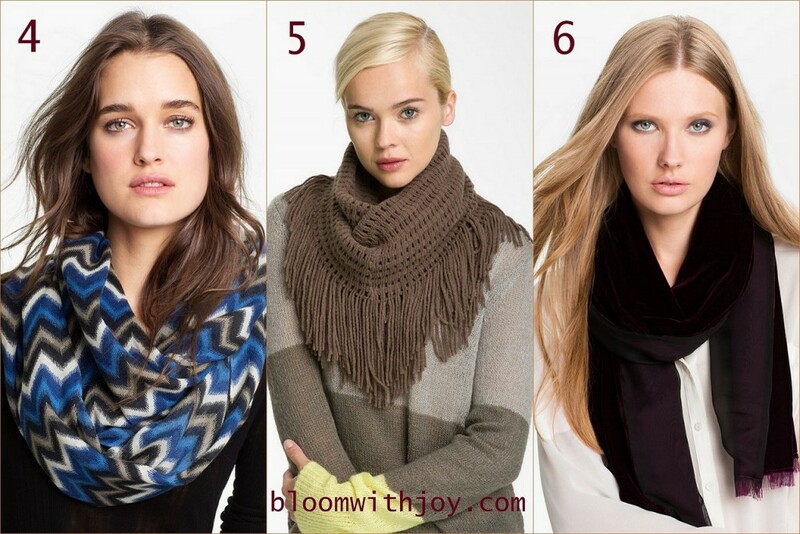 Knitted scarves will always be in style; wear them over your coat or under it depending on the look you are achieving. Cheetah print, Southwest Pizzaz, or playful chiffon hot pink are all stylish and trendy. I love playful scarves! PREVIOUS ARTICLE: HOME DESIGN- FIVE SIMPLE WAYS TO RENEW AND EMBRACE YOUR HOME! NEXT ARTICLE: FASHION-CREAM & GOLD HOLIDAY STYLE! This entry was posted on Monday, September 24th, 2012 at 2:22 pm	and is filed under Fashion. You can follow any responses to this entry through the RSS 2.0 feed. You can skip to the end and leave a response. Pinging is currently not allowed.